"Two of our directors, Linda Tos and Leslie Tos, traveled to Grand Rapids, Michigan to attend the 2014 Calvin College Scholarship Dinner. 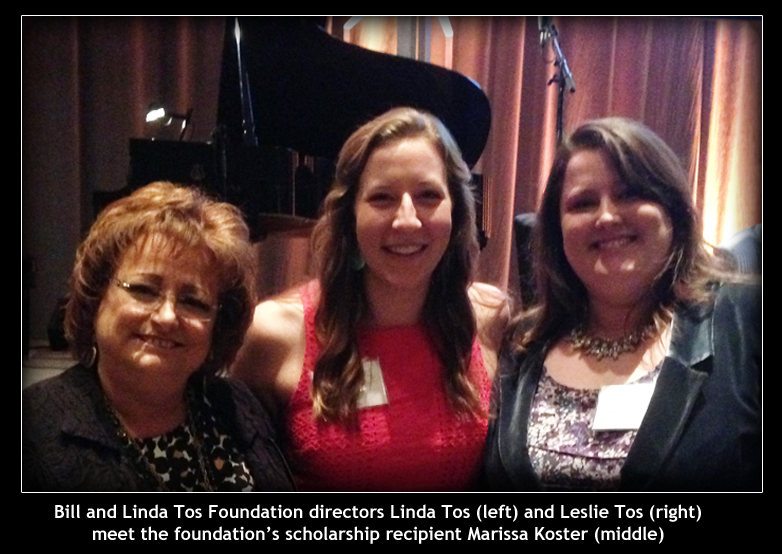 They met the Bill and Linda Tos Family Foundation Scholarship recipient, Marissa Koster, who graduated from Central Valley Christian High School in 2014 and is in her first semester at Calvin. Our directors enjoyed meeting Marissa and all of us at the Foundation pray for her mental, physical, and spiritual health throughout this first year of college!